Here we publish all the things you need to know about NYSC Portal Registration, Login details to portal.nysc.org.ng or www.nysc.gov.ng. You can also make all NYSC payment and check your payment status, verify certificates including Discharge, Exclusion and Exemption letters using the portal. 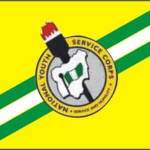 Visit www.nysc.gov.ng only when you want to get the latest news and updates about NYSC. We’ve found out that many have difficulties registering via the NYSC portal, below will be a simple quick guide on how to have a successful registration on the NYSC portal – portal.nysc.org.ng. Locally-trained prospective Corps Members are expected to use correct institution matriculation numbers to register. For locally-trained graduates, only those whose names appear on the Senate/Academic Board Approved Result lists submitted by their institutions will have access to register on the NYSC portal. (g). All graduates of Medicine, Veterinary Medicine, Physiotherapy, Radiography, Optometry, Medical Laboratory Science, Nursing and Pharmacy are expected to have their practising license, Certificates of Registration with their professional bodies and upload same on the portal. Payment receipts are not acceptable. 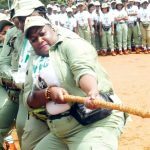 Foreign-trained graduates seeking mobilization for national service should NOT visit NYSC Headquarters, Abuja, for physical verification of their documents. The exercise will be done at the orientation camps. They are to print their call-up letters online and report to the orientation camps in their states of deployment. Anybody who presents any fake document will be demobilized, decamped and handed over to the security agents. Ensure the picture fills the frame and its centralized. 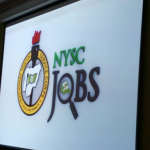 Prospective Corps Members who do not want to pay the N3,000.00 have the option of going to their institutions to check their call-up numbers and collect their call-up letters.